Renters now represent the majority in the nation’s 100 largest cities, and contribute billions to local economies. Yet renters face a toxic mix of rising rents and stagnant wages, both of which add up to an unprecedented affordability crisis that stymies their ability to contribute to the broader economy and thrive. 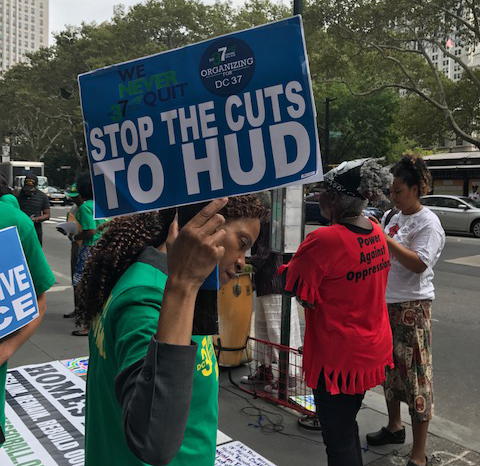 This analysis, produced in support of the Renter Week of Action occurring September 16-24, reveals what renters and the nation stand to gain from addressing this crisis. We find that nationwide, if renters paid only what was affordable for housing, they would have $124 billion extra to spend in the community every year, or $6,200 per rent-burdened household. Download the national fact sheet and press release. You can also download fact sheets for the following cities: Alameda, Atlanta, Baltimore, Birmingham, Boston, Bowling Green (KY), Brooklyn, Charlotte, Chicago, Dallas, Denver, Detroit, Durham, El Paso, Jackson, Long Beach, Los Angeles, Lynn (MA), Miami, Minneapolis, Nashville, Newark, New York, Oakland, Philadelphia, Pittsburgh, Portland, Providence, Reno, Rochester, San Diego, Santa Ana, Santa Barbara, Santa Rosa, Seattle, Spokane, Springfield (MA), St. Paul, Washington DC.